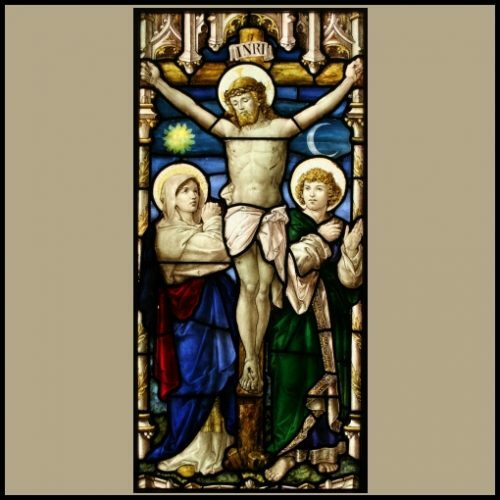 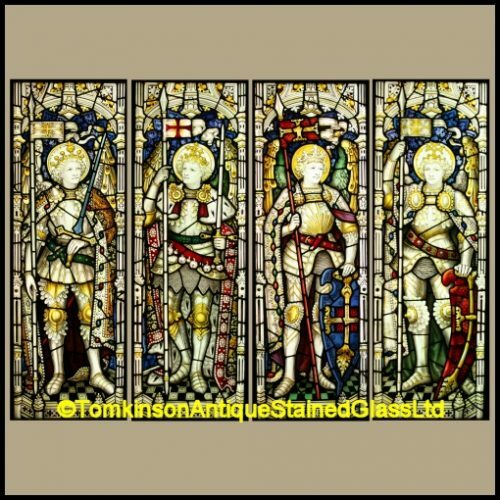 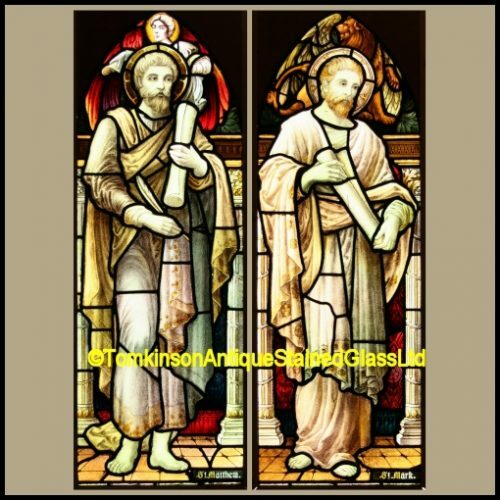 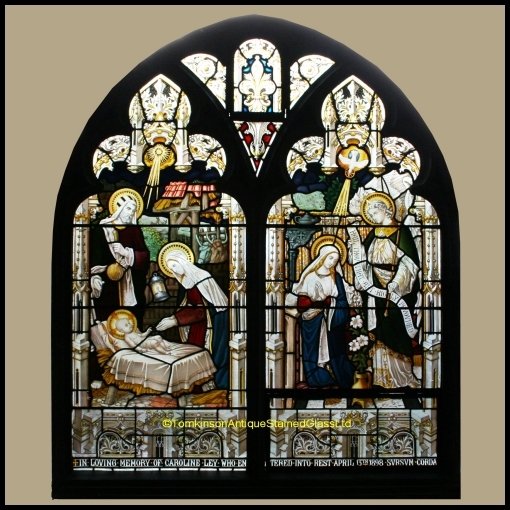 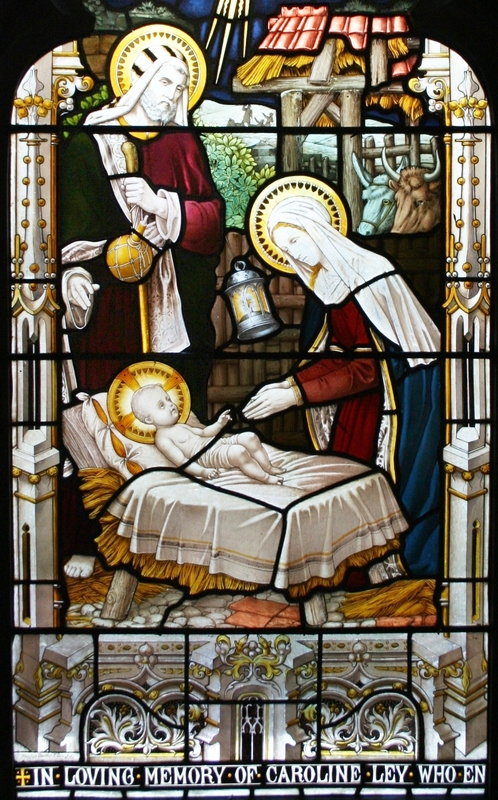 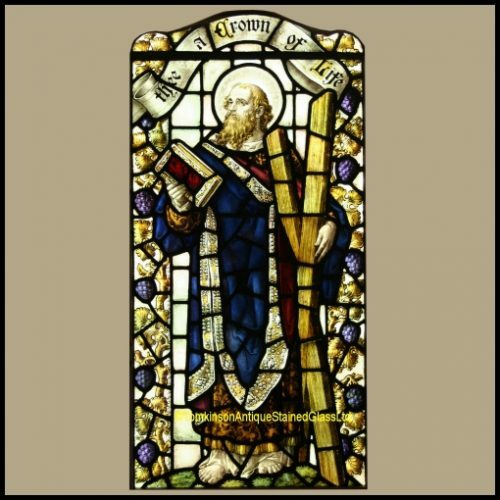 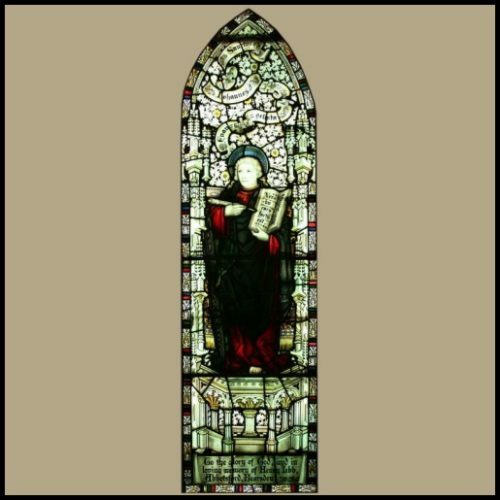 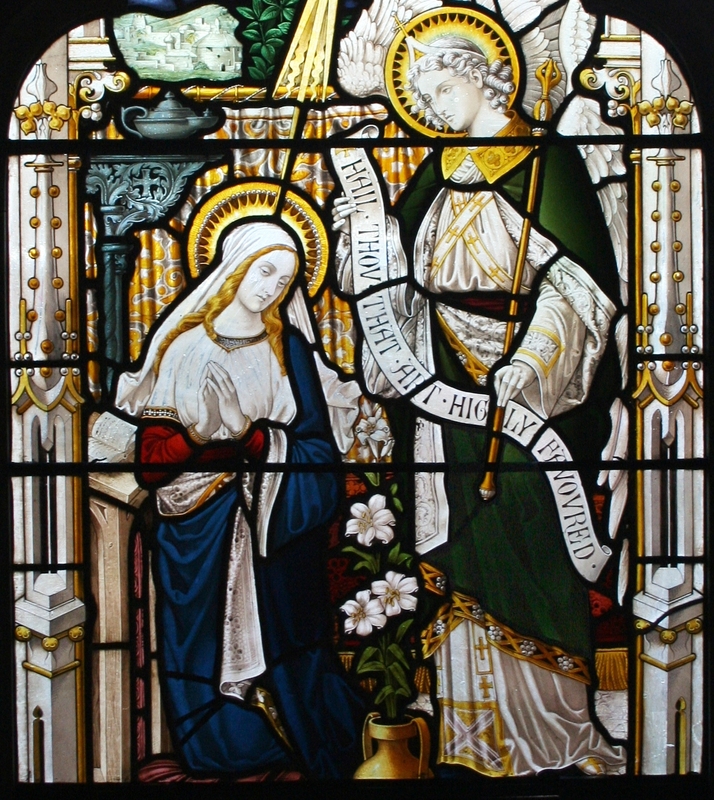 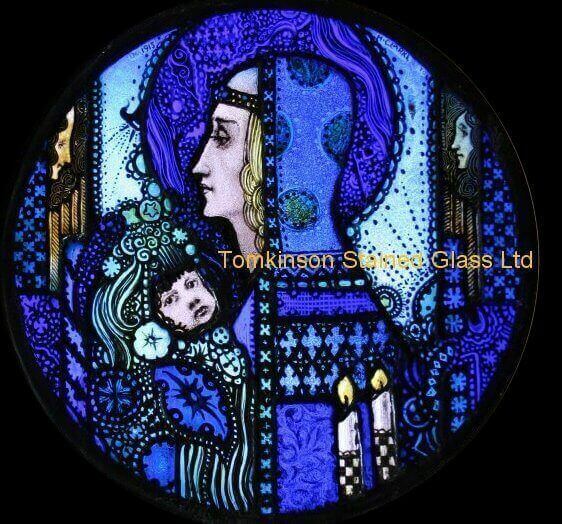 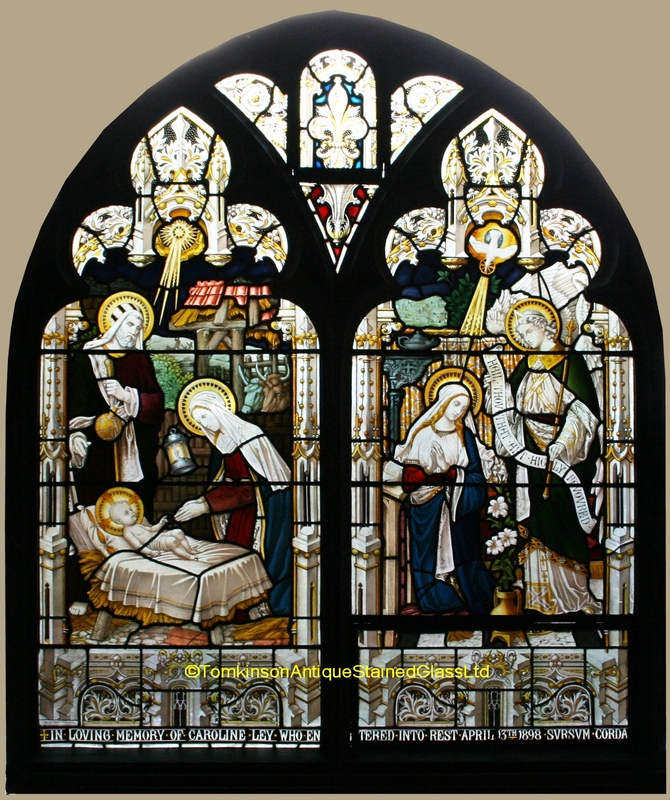 Large church stained glass window, c1900, comprising of three leaded stained glass windows in a gothic Oak frame carved both sides Hand painted depicting (left panel) the Nativity and (right panel) The Annunciation. 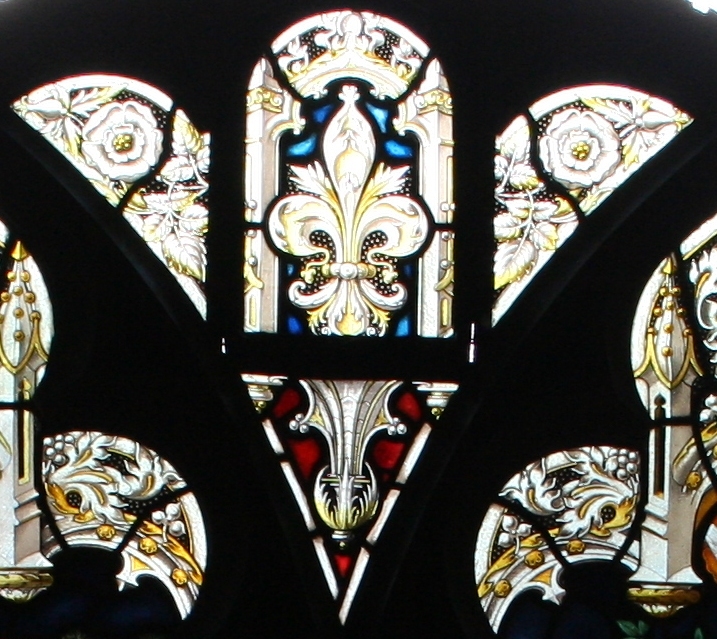 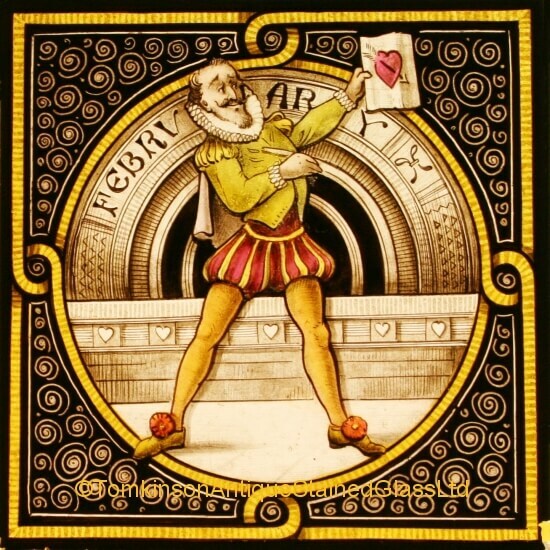 Above is a tracery panel of gothic church spires and roses. 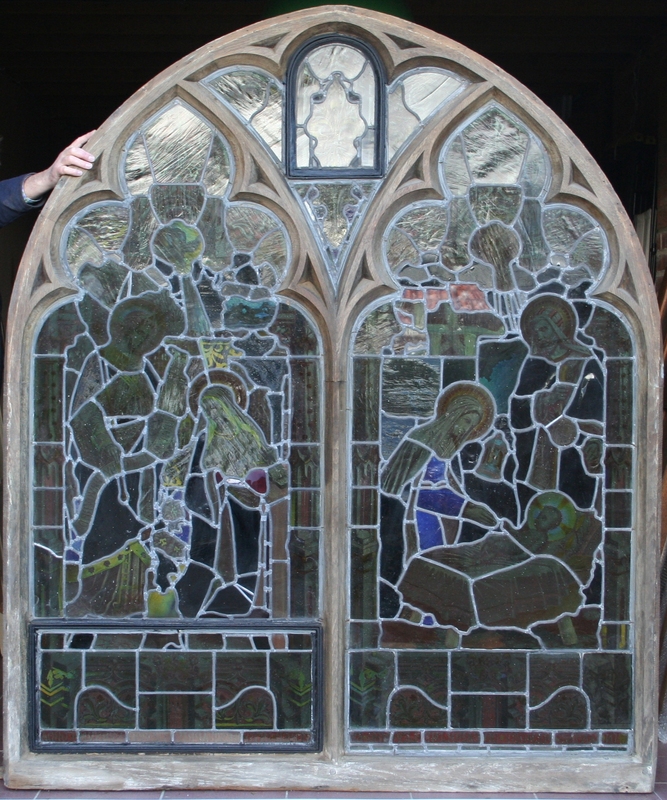 Impressive window with slight restoration keeping it in original condition. 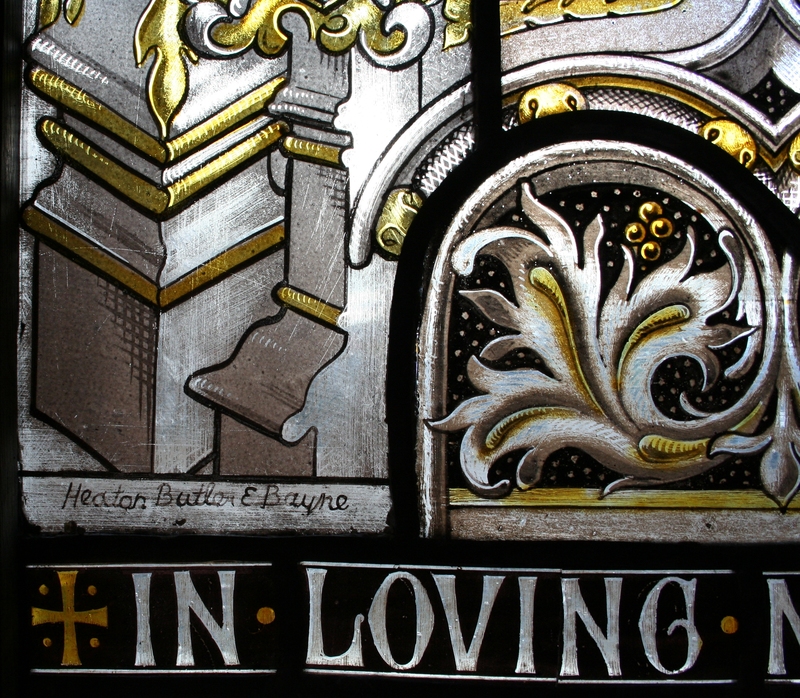 Signed Heaton, Butler & Bayne lower left panel.